The Renaissance Riverside Hotel Saigon also boasts an extensive array of modern facilities and amenities to meet the requirements of any travelers, whether you are on business or leisure. Facilities include several dining options, a swimming pool and a health club. The exquisitely appointed 5-star Renaissance Riverside Hotel Saigon features 349 deluxe guest rooms and suites on 21 floors, offering spectacular panoramic views of the Saigon River as well as the stunning city. Kabin chinese restaurant - Provides extensive lunch and dinner menus of gourmet dishes and a wonderful assortment of regional dim sum at lunch time with the focus on the flavor of Cantonese and Szechwan provinces. An elegant restaurant with luxurious private rooms, contemporary atmosphere, superb river views, innovative cuisine and attentive service. 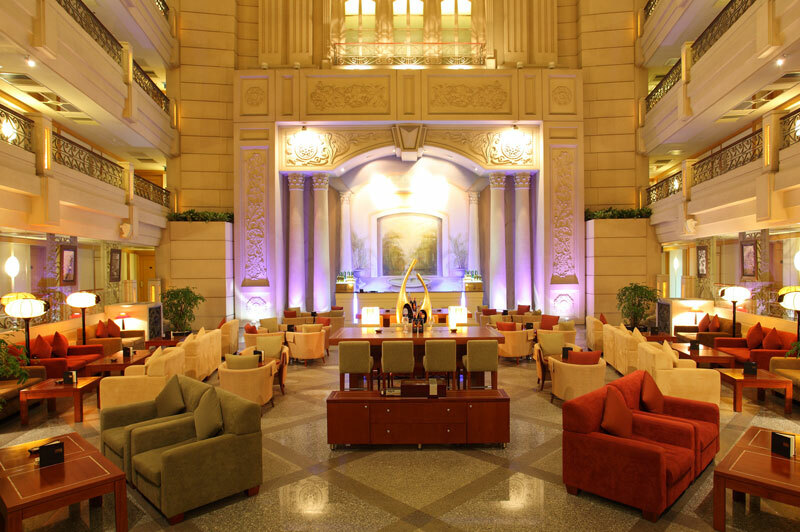 Atrium lounge - an oasis amidst the hustle and bustle of the city. Serving a wide selection of popular beverages and tropical as well as light snacks. It is a great place to relax and unwind. The riverside café - the hotel's all day dining restaurant, overlooking the bustling street life and ferries arriving and leaving on the Saigon River. The restaurant features a sumptuous breakfast buffet, up-market themed lunch and dinner buffet. Lobby lounge - nightly live music; the ideal place to relax and to wind down with cool ale or a refreshing cocktail. Poolside terrace - Relax and enjoy a wide range of exotic cocktails, tropical fruit juices and a variety of snack items. Fully-equipped with the latest in conference and meeting facilities, the Renaissance Riverside Hotel Saigon offers the perfect venue for any event. Swimming pool - with a wonderful view of the city and the river and the possibility to do laps. Located in the heart of the shopping and business district of Saigon, the 5-star Renaissance Riverside Hotel offers first class facilities and the best views over the Saigon River.